The Placks are based in the Scottish Highlands and islands: guitar, accordian, fiddle. The band play a dynamite mixture of Celtic infused punk rock and folk, with melody, mirth and message.The Placks include two former world champion pipe band members in the ranks. The accordion and fiddle players are full time professionals. 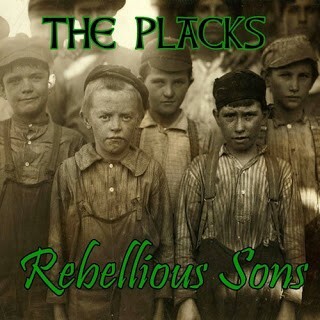 The Placks have decided not to release the 4 track EP “Rebellious Sons” in physical format and go back to our original idea of releasing a full album and they will be going back in the studio in February to finish it all. The 4 songs are already on rotation at Celtic Folk Punk radio. Adrenalized (Spain skate punk) are streaming new song "The Story To Believe"